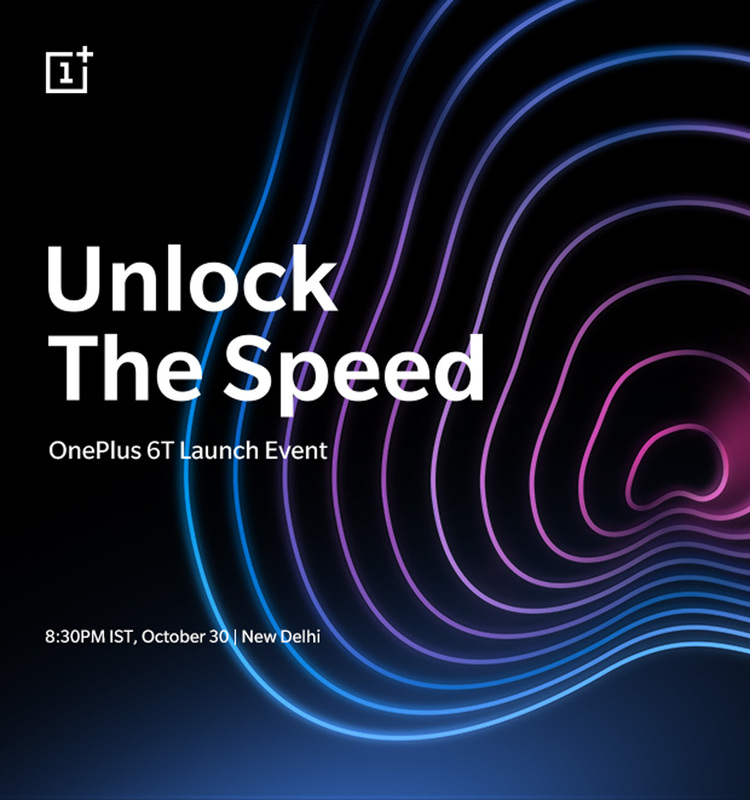 Following its most successful year ever with the launch of the best-selling OnePlus 6, OnePlus will “Unlock the Speed” with the launch of the OnePlus 6T at the KDJW Stadium, inside Indira Gandhi Sports Complex, New Delhi at 8:30 pm on 30th October 2018. At the center of this milestone event will be the global OnePlus Community who continues to help build and shape the direction of OnePlus. Together, we will celebrate the announcement of the OnePlus 6T by hosting the biggest ever Community event in its history. Launch invites will be available at INR 999 via oneplus.in from 10:00 AM IST on Wednesday, 17th October 2018. Attendees will be the first in the world to experience the style and power of the OnePlus 6T at the experience zone at the launch venue. In addition, all fans who attend the launch event will get a gift hamper full of super add-ons and OnePlus merchandise. Those who won't be able to make it to New Delhi launch event can also tune-in to the live-stream to watch the action unfold. Mark your calendars to make sure you don't miss out on the most anticipated launch of the year: https://www.oneplus.in/6t/launch. The ‘Notify me’ page for pre-registration of OnePlus 6T is live on Amazon.in, the exclusive online sales partner for OnePlus. Watch the new video on OnePlus 6T, here.